How Can Your Retail Store Start Using Bridge? Use our data stream to fill your store with Smart Products. With this option, you'll be copying our data so your website will look exactly like your current e-commerce site. You control how your registry looks as well. You use Bridge Store as your primary website. 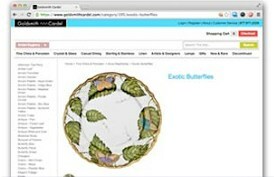 You can customize the design and content in your Bridge Store and gift registry. You can choose to sync with Smart Products. In addition to Smart Products, you can add any products that you wish to your Bridge Store. You keep your existing website and add links to the pages and services on your Bridge Store that you want to use. 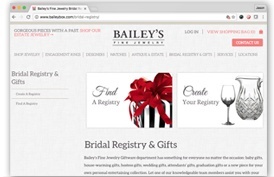 For example, you add links on your site such as Gift Registry that lead to your Bridge gift registry. Using the Smart Products service will save you from receiving thumb drives, Dropbox links, and Excel files from brands. If you choose Choice C above, your Bridge account will act as an image and product library giving you the most recent images, prices, and product information for all of your Smart Brands in one easy spot. You will copy this data into your site. You can export one item at a time or up to all of the items at once. You have two choices to offer Smart Products via your gift registry service. You can use Bridge's gift registry software and instantly populate it with Smart Products. For examples of retailers using this method, please see choices A and B in the chart above. You can copy our Smart Products to your third-party website. For examples of this, please see choice C in the chart above. How to Use Smart Products? If you wish to skip downloading the Smart Product data and then importing it into your website, Bridge offers you an e-commerce website that is pre-populated with your Smart Product data in it. You can use this website to sell the Smart Products to your customers. 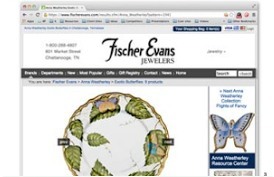 The e-commerce store (which includes gift registry software) also allows you to add any item from any brand. As such, you can sell any item from any brand (even if it's not a Smart Brand partner). If you have a website with a 'splash' page or have a site that is just informational, you can add a link that says, for example, "Gift Registry" and have it lead to your Bridge's gift registry.